This whitepaper by Atos Data Analytics experts explores “Big data is the next big thing in business technology”. That 78% of executives confess that their principal challenge is to understand how to get real value from bog data, and most organizations continue to leverage only 12% of their available data. This does not mean that next generation analytics are only a fad but underlines that, as for every profound business transformation, the recipes from the past do not work anymore. To be successful, analytics must be reinvented with new technologies and new management paradigms. 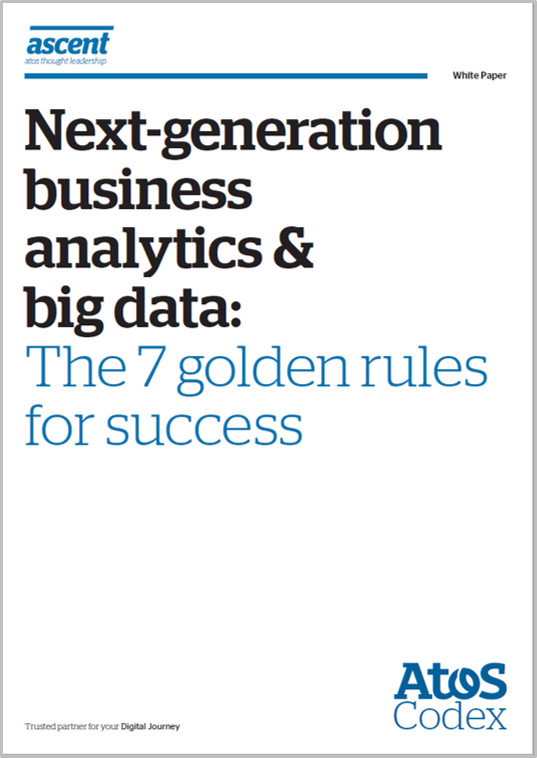 Based on expert interviews and real-life cases, this paper unveils 3 classic errors on the way to next-generation business analytics and big data, and 7 proven best practices for success.